UNITED NATIONS (AP) — Secretary-General Antonio Guterres put a spotlight on the global water crisis on World Water Day, saying Thursday that over 2 billion people lack access to safe water and more than 3 billion are affected by the scarcity of water. 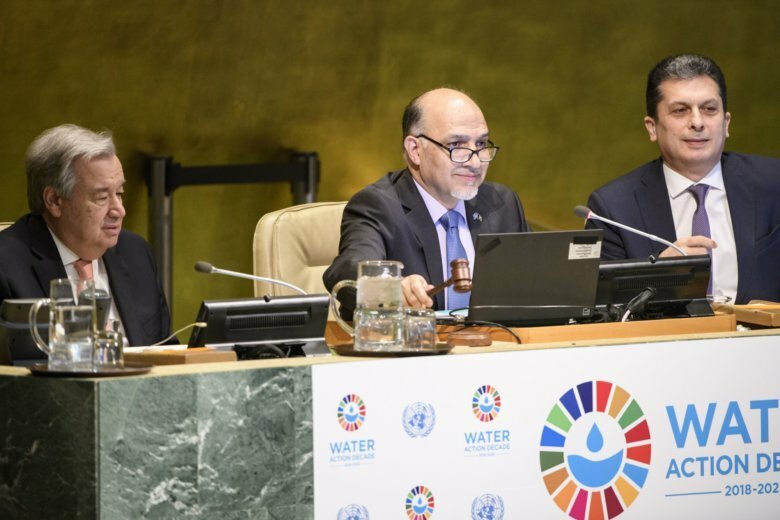 He told diplomats and activists at the launch of the International Decade for Action on Water for Sustainable Development that “water is a matter of life and death,” stressing that humans, cities, industries and agriculture depend on it. “The growing water crisis should be much higher on the world’s radar,” Guterres stressed. In low-income countries, he said, women and girls “spend some 40 billion hours a year collecting water,” equivalent to the entire workforce of a country like France. That time could be much better spent working, or in the case of girls going to school, he said. The group mainly contributed those problems to water shortages. General Assembly President Miroslav Lajcak said competition for water is also growing. “And so is the risk that this competition could turn violent, and result in conflict — and therefore more human suffering,” he said. He called for greater cooperation, investment and innovation and said all governments must make water and sanitation top priorities. On the innovation front, Israeli Ambassador Danny Danon hosted a forum Thursday to present the latest water solutions from the country’s public and private sector, which he said are used in more than 100 countries around the world. Among the technologies presented were innovations that generate water from air and a device that produces pure drinking water from contaminated sources in difficult conditions.